Plywood Pagholz vintage sixties design chairs. 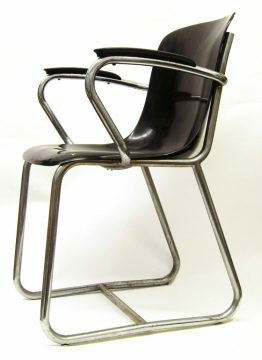 Stylish looking vintage plywood chairs with metal base. 3 in stock. Dimensions: height 75 cm, width 46 cm, depth 44 cm.